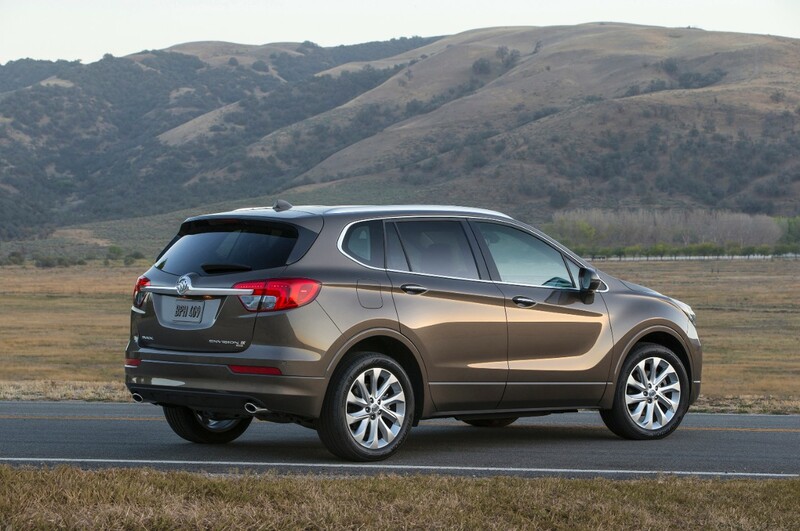 The 2017 Buick Envision is a feature-rich new entry to the Buick lineup. It slots between the popular Encore and the midsize Enclave SUVs, making it the perfect combination of value and versatility. 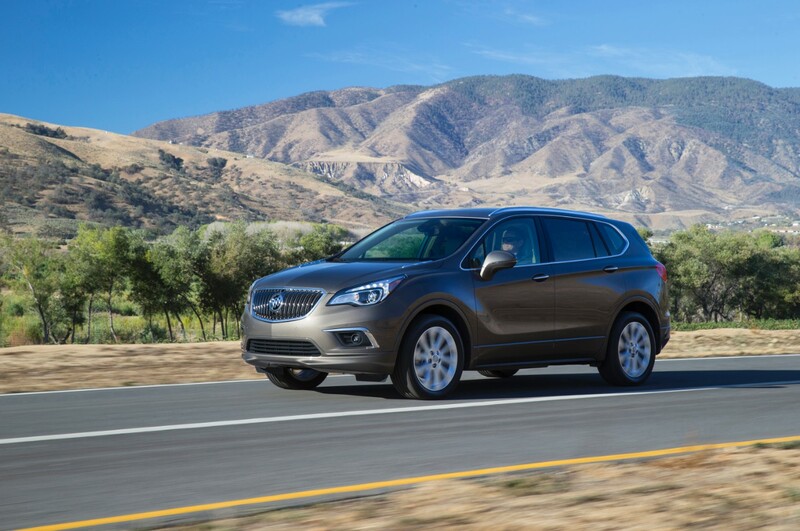 Thanks to its size, the Envision is easy to drive, and it features a whisper-quiet ride befitting an SUV of its stature, as well as Buick's signature levels of luxury. Hot on the heels of the 2016 Envision, the 2017 model adds two lower trim levels with the option of front-wheel drive. The 2017 Envision marks a further expansion of Buick’s crossover lineup, taking the virtues of the smaller Encore and larger Enclave and incorporating them into a package that’s somewhere in the middle in terms of size. There are two engine options depending on the model you select. The first option is a 2.5-liter four-cylinder engine that's mated to a standard six-speed automatic transmission. It offers 197 horsepower and 192 pound-feet of torque, which should serve drivers well wherever their travels take them. Front-wheel drive is standard, while all-wheel drive is available for drivers dealing with less-forgiving road conditions. Next up is a 2.0-liter turbocharged four-cylinder engine. It's also mated to a six-speed automatic transmission; however, power is increased to 252 horsepower and 260 pound-feet of torque, which should get the Envision down the road nicely. For reference, that’s more standard horsepower and torque than an Audi Q5, one of the Envision’s main competitors. To help keep fuel efficiency high, Buick equipped the four-cylinder engine with a start/stop system, and added active grille shutters for improved aerodynamics. Weight savings were also a priority; the Envision makes extensive use of high-strength steel, has an aluminum hood, and features a structural design that allowed engineers to eliminate 22 pounds of added material, and still keep the cabin Buick-level quiet. Buick’s latest crossover also gets the new Twin Clutch AWD system from the 2017 LaCrosse sedan and Cadillac XT5 crossover. This system helps balance handling, traction, and fuel economy by quickly shifting power between the front and rear axles depending on conditions. To maximize fuel efficiency, power is sent mostly to the front wheels when extra traction isn’t needed. As a premium model, the Envision comes with a generous amount of standard equipment. That includes heated front seats, rear seats, and steering wheel, eight-way power front seats, tri-zone climate control with rear-seat controls, remote start, 19-inch alloy wheels, a Bose® audio system, Buick’s Intellilink infotainment system, and a built-in Wi-Fi hotspot. Other noteworthy standard features include active noise cancellation, a rearview camera, six-speaker stereo with two USB port, and support for Apple CarPlay® and Android Auto™. Move up the trim ladder and the Envision can be had with additional features such as cooled front seats; 19-inch wheels; a programmable power tailgate with hands-free operation; passive entry with push-button start; a panoramic moonroof; and much, much more. Designing a new vehicle that stands out from the crowded crossover crowd isn’t easy, but Buick created a handsome entry by sticking to the fundamentals. It emphasized car-like proportions, and brand-specific details like the winged headlights, waterfall grille, and air vents located on top of the hood. Underneath the skin, the Envision is one of the first all-new Buick models in years. Buick usually works with platforms already employed by other General Motors divisions, but the Envision is a true clean-sheet design. This allowed engineers to make everything from the basic structure of the Envision to the power moonroof as refined as possible. It also allowed them to cut out some unnecessary fat, keeping the Envision as lean as possible. The same attention to detail is apparent in the cabin. It features a “floating” wraparound instrument panel that sweeps into the door panels, which helps create a more inviting appearance, Buick says. Designers also used high-quality soft-touch materials as much as possible, held together with nice stitching. The Envision boasts a total of 100.6 cubic feet of passenger volume, with 26.9 cubic feet of cargo volume behind the rear seat, and 57.3 cubic feet with the rear seat folded. There’s plenty of technology, too. The Envision comes standard with Buick’s Intellilink infotainment system, including an 8.0-inch touchscreen, as well as GM’s OnStar® 4G LTE system, which features a built-in Wi-Fi hotspot that can handle up to seven devices. Thumb-operated toggle switches on the steering wheel augment the touchscreen, and there are also four USB ports throughout the cabin. Standard safety equipment on the 2017 Buick Envision includes anti-lock brakes; stability and traction controls; front park assist; lane change alert: rear cross traffic alert; following distance indicator; 10 airbags; and the Safety Alert Seat, which vibrates to alert the driver about a possible crash. Optional features include adaptive cruise control, automatic braking, automatic park assist, and a Surround Vision camera system. The 2017 Buick Envision features exquisite styling and a cabin that is filled with all the latest in-demand technologies. It's also a pure joy to drive, thanks to active noise cancellation and two powerful yet efficient engine options. To be among the first to experience the 2017 Buick Envision, contact us online or visit Rivertown Buick GMC at 1661 Whittlesey Rd, Columbus, GA 31904. *The Manufacturer's Suggested Retail Price includes destination freight charge. Tax, title, license, dealer fees and optional equipment extra.